Swales are usually made of concrete or involve the grading of soil that guides or channels water. There are several things you may wish to do, if you have a swale. 95% of damaged drains are only... Steps that make sense, usually starts with the cover. 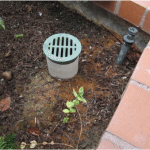 Bad drainage can cause foundation problems, water puddling and even mold and mildew problems. 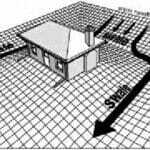 Should you do anything about your drainage?